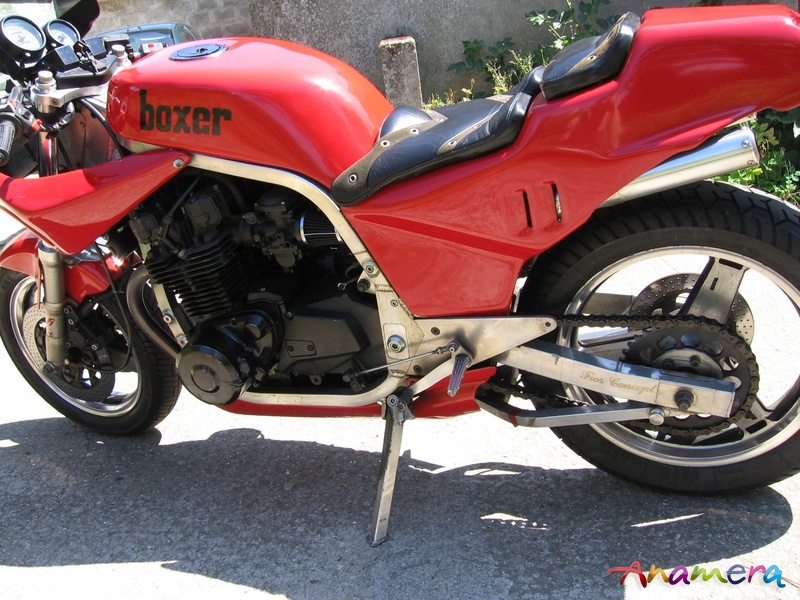 AUTODROME Cannes is proud to present an extremely rare Boxer-Bikes Motorcycle designed by the French leading-edge racing bike engineer Claude Fior. 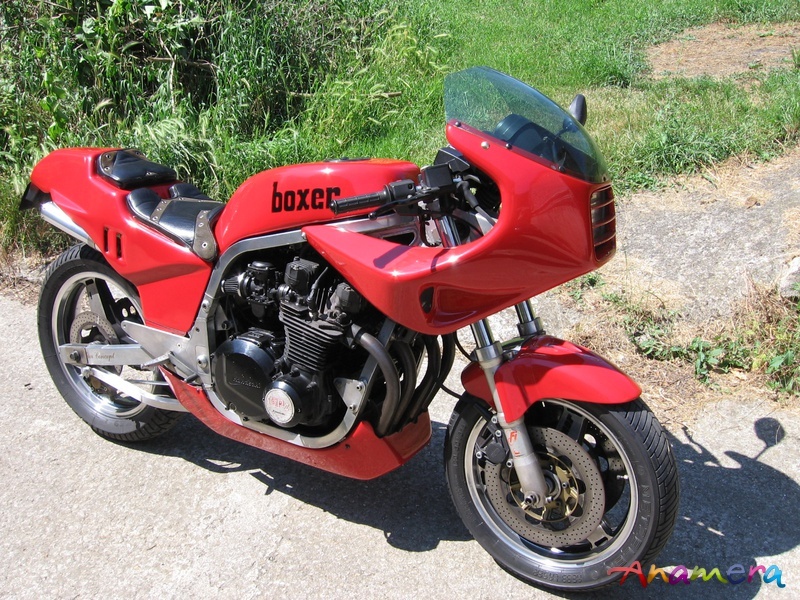 Boxer Bikes has been famous since the seventies for their racing and sophisticated motorbikes, hand-built with extensive use of aerospace-technology, ultra lightweight frames and offering the highest performance on two wheels. 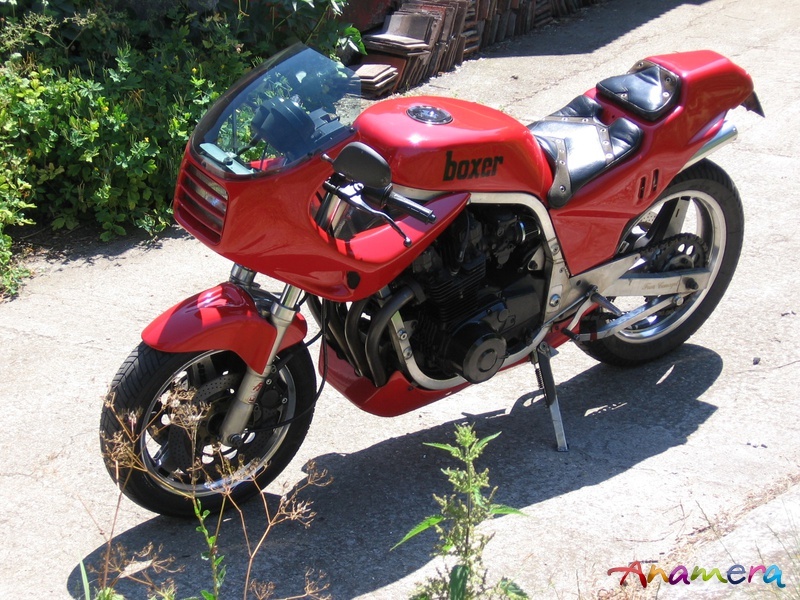 As specialists know, the Chief Engineer for this bike was Claude Fior, famous for his unique high-tech racing bikes, and that unfortunately died too young in 2001. Claude Fior also created many technical new systems for racing bikes. 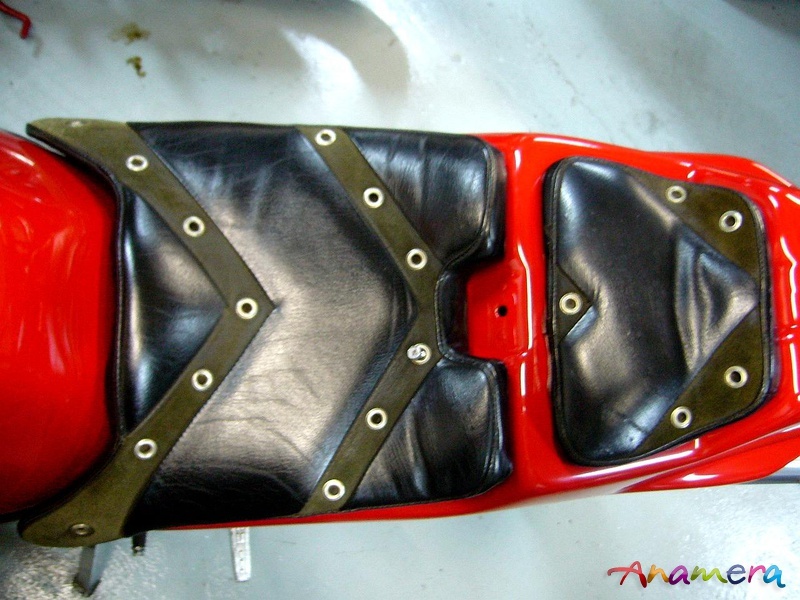 The most famous was the double-triangle front suspension, comparable to racing cars fully adjustable suspension. 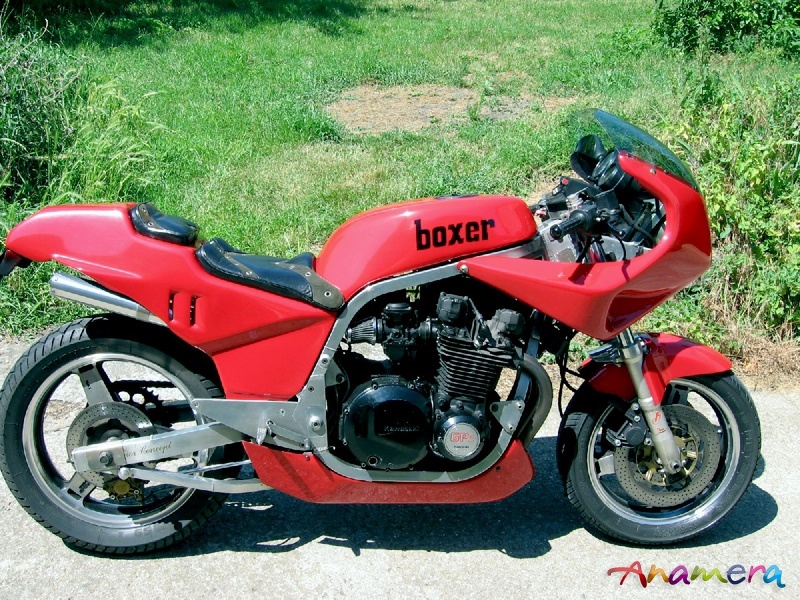 This Boxer-Bike was one of the very first Fior creations. 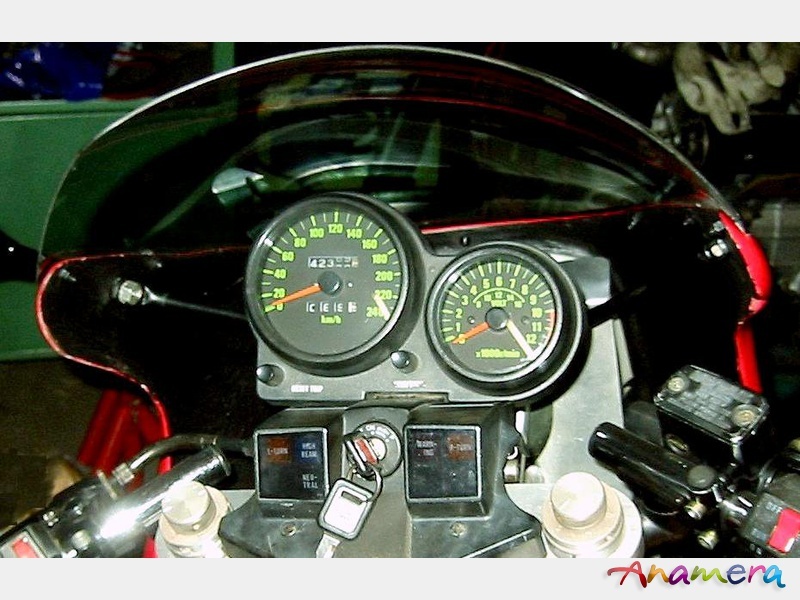 The engine is a 1100cc air-cooled Kawazaki 1100 GPZ, one of the most powerful bike of its time. Still air-cooled in spite of its enormous power and torque, this engine is the last development of a generation of "old-school" engines, still influenced by the two-stroke concept. The next generation will be the water-coled Ninja 900. This engine was specifically chosen to take advantage of its extremely high torque ; associated with the ultra lightweight frame, the result is a motorbike with extraordinary sensations. About fiteen years later, this concept will be re-used by Horacio Pagani for the Zonda, a marriage between the torquey V12 AMG and a carbon fibre chassis. The engine of our example has been elaborated and upgraded, with among other things, 4 carburators replacing the standard GPZ injection system. Mounted rigidly in the hand-made aluminium alloy frame, it delivers exhilarating sensations never felt before. With the exception of this discreet preparation, this example is completely original, a rare dual-seater version with the double leather seat. 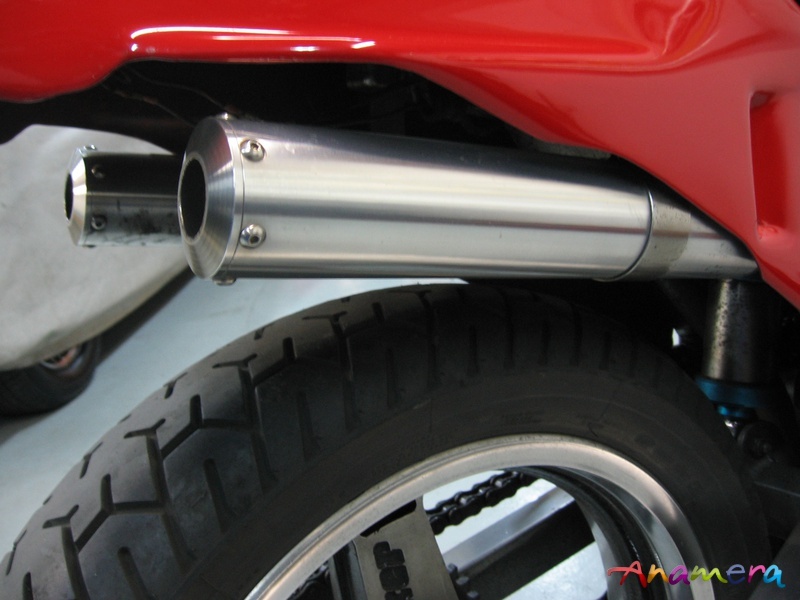 The exhaust silencers are new, machined from solid aluminium, as well as the top of the Ceriani forks. The concept of this motorcycle is far above the standard of it time : the frame is all hand-made from light alloy square tubes, assembled with aerospace welding techniques. Even the fuel tank is in aluminum for lighter weight. Furthermore, front and rear suspension angles are adjustable - a typical racing specification, very unique for a road-bike - and many parts are made from solid machined ultra-light alloy. All elements are of racing or high-end provenance, like the Brembo Gold-Series brakes, and the Fournalès "air-oil" rear suspension. This rear suspension system is of the highest technology, using the elasticity of compressed air as a spring, and thick oil flowing through calibrated holes as damping system. Needless to say, such an opportunity to acquire this fascinating motorbike in top original condition is probably unique, and will not be repeated. This motorbike will be a precious and indispensable addition to any important collection of classic Motorcycles.